Beige as a color is considered to be the most neutral of rug colors. 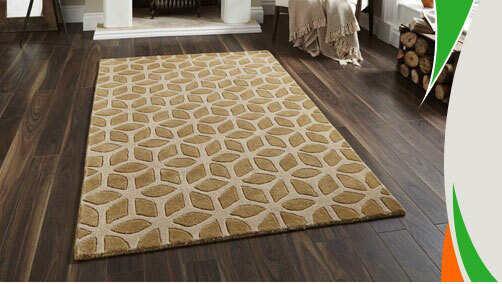 The Rug Shop have wide variety of Beige rugs available in different shapes, sizes and textures to suit your requirement. We have shaggy beige rugs for that luxurious look and at the same time can serve you with flat weave and designer rugs which have beige as their main theme color mixed with complimenting color styles. A beige rug is a perfect addition for study rooms and conservatories as it comes from the family of Brown. Brown suggests stability and weight. You will also notice that kiddies rugs have a lot of beige color transfused into them as it represent safety and elegance. Beige colour rug represent a unique earthy feeling and made from a combination of red, yellow and blue hues mixed together. Color psychologically is very important as it affects the mood and the ambience of any room setting. Having a beige rug in your room would help in achieving a very subtle, warm and elegant look. Choosing a beige color for your home décor is totally a personal preference totally inspired by what you wish to achieve and the orientation of your home. Area rugs in light shades like beige provide a room larger overall appearance. Whether you want to have your small study room or home office look bigger or even make a larger living space look larger, Beige would perfectly fit these criteria. Light color beige rugs are perfect for these type of special requirements. A beige rug would perfectly compliment shades like red, black, yellow, violet and orange. Someone who wants to have a very contrasting color effect then putting beige rug as a floor covering and using contrasting color for draperies would be the ideal idea for decorating your home. As per the famous Chinese art of Fung Shui, the five major elements to achieve a sense of balance in life and home are Metal, Water, Fire, Wood and Earth. So a perfectly balanced room must have earthy tones like beige incorporated in its design. Having highlighted the scientific importance of beige rugs, we should not forget our own personal taste and style when decorating our homes. If you are not the one who enjoys soft and subdued colors then Beige is definitely not for you. If you love adding a bit of calmness into your home décor which looks beautiful and defines the look and feel in a very soft manner then go for beige rugs.